Lisensky, 90, served the university from 1973–80 and focused on sustainability and campus growth. 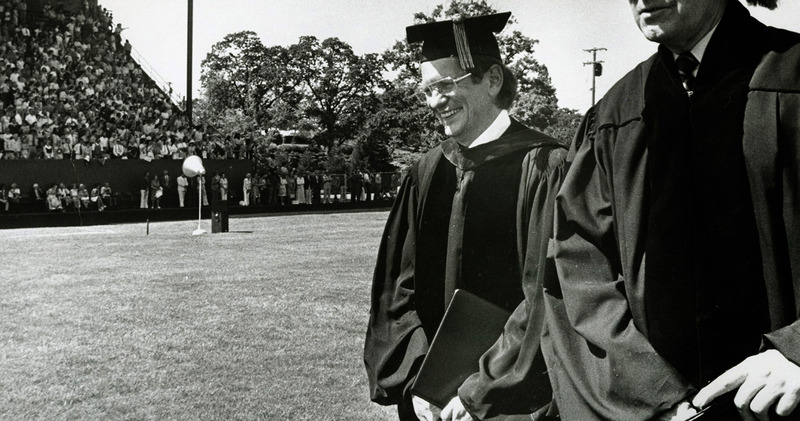 When Robert P. Lisensky became Willamette’s president in 1973, he clarified the difference between the power of authority and the power he admires. A good fit for Willamette’s ethos, Lisensky had a unifying approach to his new role — as well as intelligence and prescience — that led some to say he was the right president for the right time, someone who understood the interests and capacity of the university. On Jan. 12, Lisensky died in Boulder, Colorado. He was 90. During his tenure at Willamette from 1973 to 1980, Lisensky led the university through formative changes, particularly related to campus facilities and grounds, including opening the doors of the new Graduate School of Administration, now known as the Atkinson Graduate School of Management. In 1977, he created the environment-focused Alternative Futures Project, supported by the Lilly Endowment, that resulted in a temporary vegetable garden planted in the Quad and a large conference that showcased everything from organic farming to sustainable forestry. 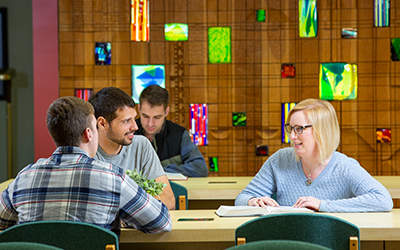 Lisensky also made significant facilities renovations across campus, including the transformation of a gym into theatre space for the Willamette Playhouse, now the M. Lee Pelton Theatre, the construction of Seeley G. Mudd Building for AGSM and a research and writing center in the College of Law. The former president recognized the future challenges that higher education would face. In his start-of-the-year remarks in 1976, Lisensky told law students “the real issues of today involve questions of values, not just technology,” and in 1980 commentary for the alumni magazine, he anticipated a nationwide decline in student enrollment and a similar trend for interest in a college degree. Rather than view this situation as a crisis, he said, Willamette views it as a challenge. 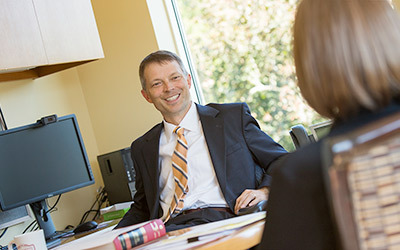 Before his presidency at Willamette, Lisensky served as vice president for academic affairs at Albion College in Michigan and at Ohio Wesleyan in Delaware, Ohio. He graduated with a theology degree from Boston University School of Theology in 1954 and served the United Methodist Church as a pastor in Bryantville, Massachusetts. After he left Willamette, he became consultant and acting associate general secretary of the United Methodist Church in Nashville and executive vice president of the Council of Independent Colleges in Washington, D.C. He is survived by his wife, Patricia, a former Willamette University librarian, and three children, George, Joan and Carol. *Background information on Lisensky was drawn from 1973–1980 editions of The Scene. 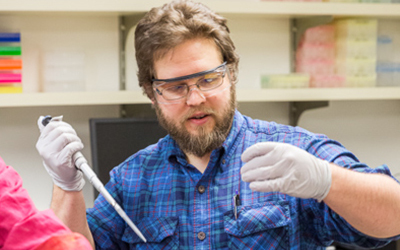 Students in Willamette’s ‘Battle Lab’ target cancer cells. After the 2019–20 academic year, Curtis Bridgeman will return to teaching at Willamette Law.